Pele is one of the Hawaiian deities and is often associated with the volcanic activities on the islands. She also holds dominion over lightning, wind and fire. 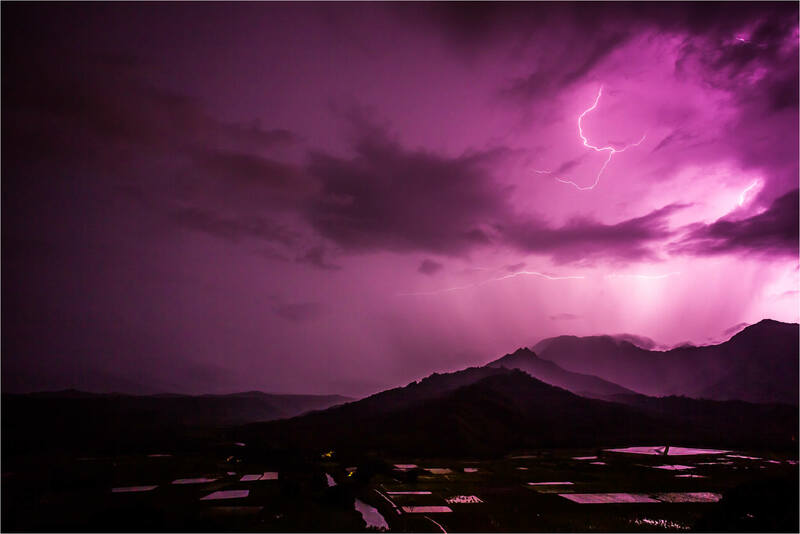 One evening, I watched her play with lightning, throwing it over the ridges that rise up from the Hanalei Valley on Kaua’i’s north shore. 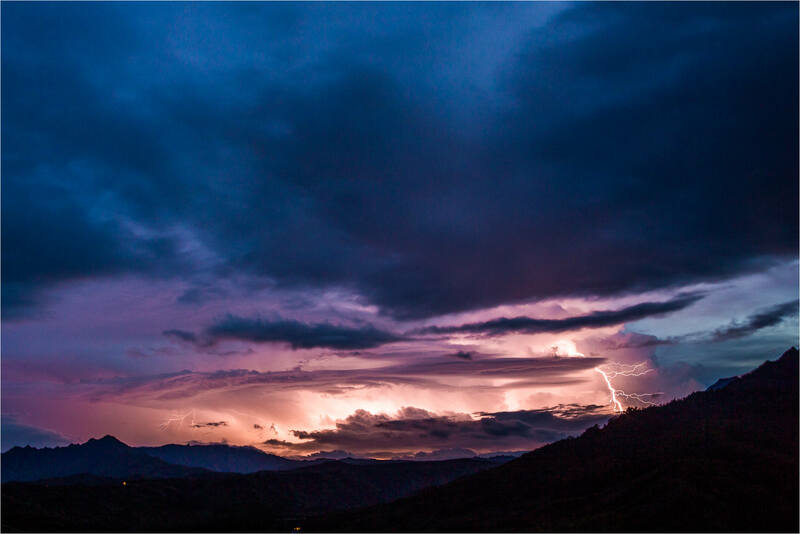 For almost three hours, beginning at dusk, the clouds lit up with strikes that branched across the sky. 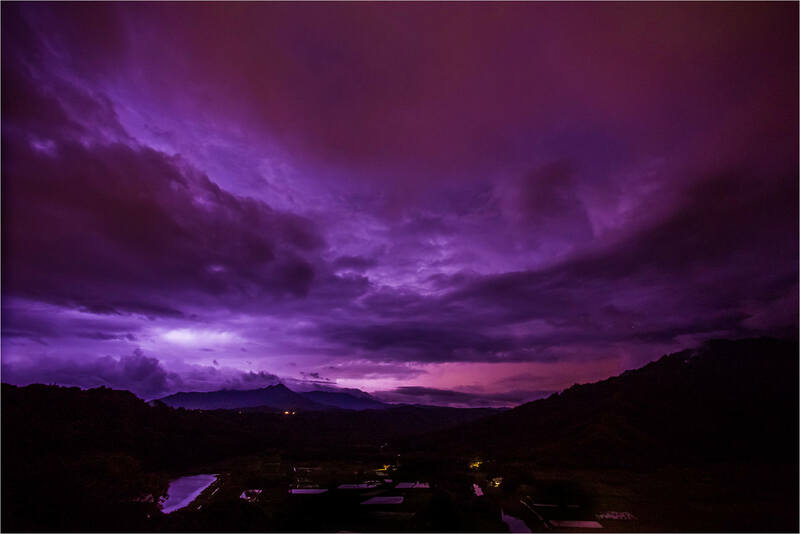 I watched the storm from the Hanalei outlook in Princeville. That put me at almost the same elevation as the strikes which hammered the far side of the valley. 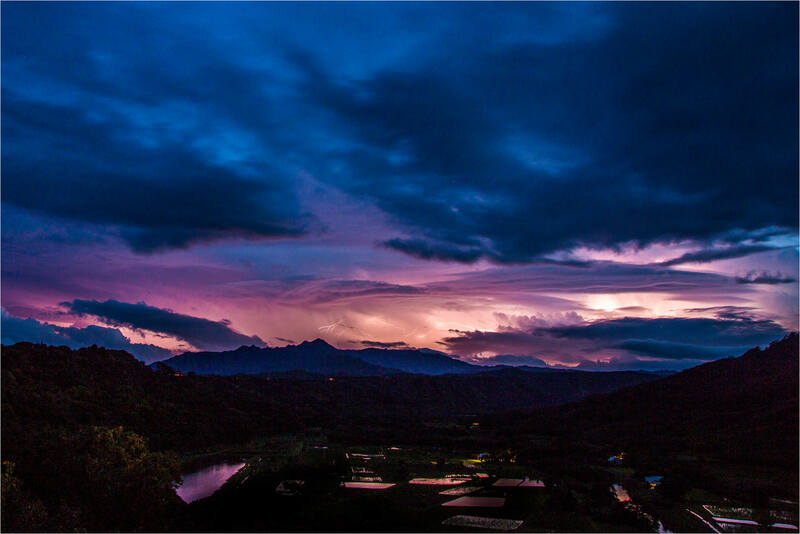 With each flash, the taro field ponds lit up as well. The deep blue sky early in the evening tempered the color in the sky. 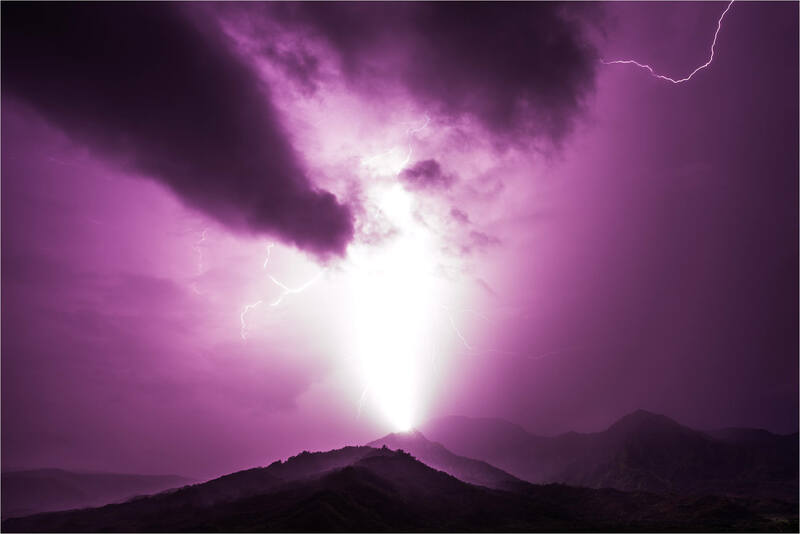 When the valley was totally dark, each flash illuminated the scene in wild shades of purple. 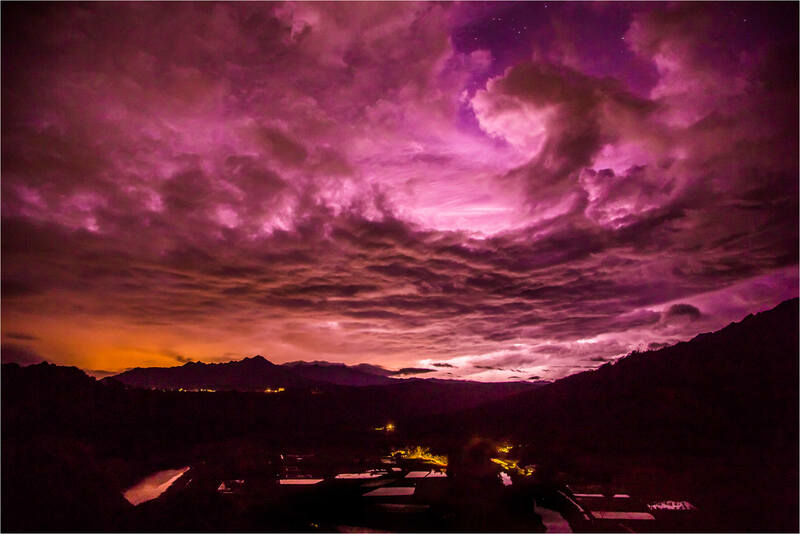 It was incredible to see the changes in the color, the clouds and the storm through the night. Pele became more ferocious as the night deepened. Gradual at first, with the wind picking up slowly but steadily and the lightning coming every couple of minutes. Then increasing quickly along with drops of rain that turned into a downpour after just a few minutes. I retreated to shelter with the rain drenching me and the lightning tracing arcs directly above me. It was raw power and I enjoyed watching the goddess at work – by the end there was a determined nature to the storm that made it feel like play had been joined by purpose. This entry was posted on December 8, 2012 by Christopher Martin. 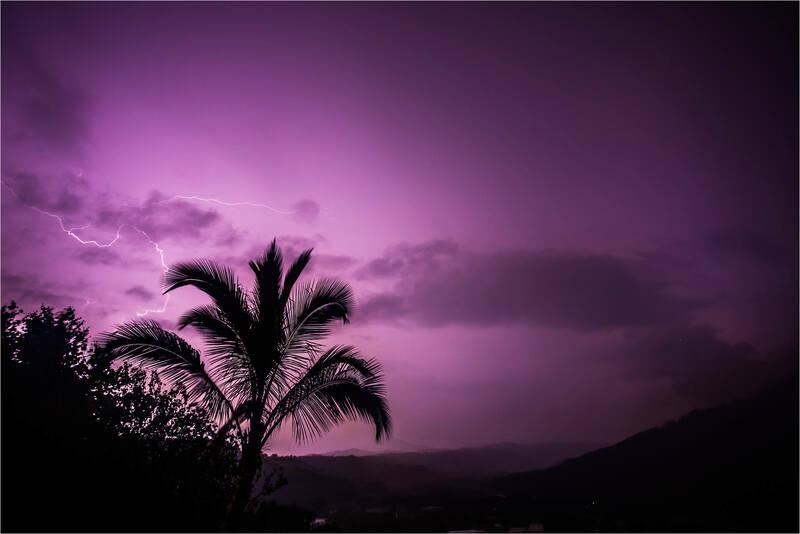 It was filed under Hawaii, Landscapes, Weather and was tagged with Goddess Pele, Hanalei, Hawaii, Kauai, landscape photography, lightning storm, nature, night, outdoors, reflection, sky, storm, Weather. Dramatic! Did you stand in the storm and taking these pictures?